Eiermann Frame 1, Chrome fra Egon Eiermann med varenummer 2200009 Bemærk at der kun er tale om stellet - borplade skal tilkøbes. 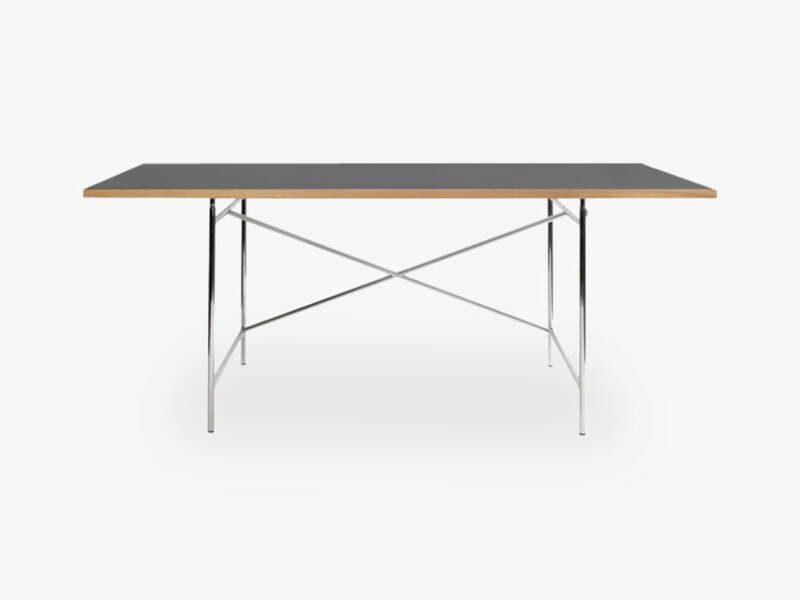 Beskrivelse af produktet ; Egon Eiermann designed this table back in 1953 for his own office. Soon after, it was used by his students, in their small dorms… When the students were several for dinner or work they simply removed the table top and replaced it with one of the doors of the dorm, and in a few seconds they had a bigger table. The Eiermann1 table frame, is the original edition and designed as a desk. Later on one of Eiermann’s students made a dining version called the Eiermann2 frame. The simple construction of the frame makes it very light, but very stable. Today it is proudly produced by Richard Lampert in Stuttgart as Egon Eiermann designed it in 1953.